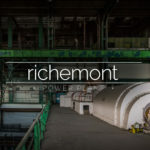 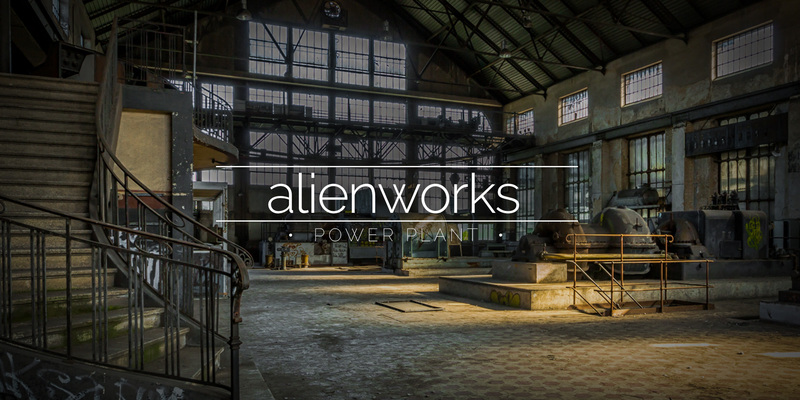 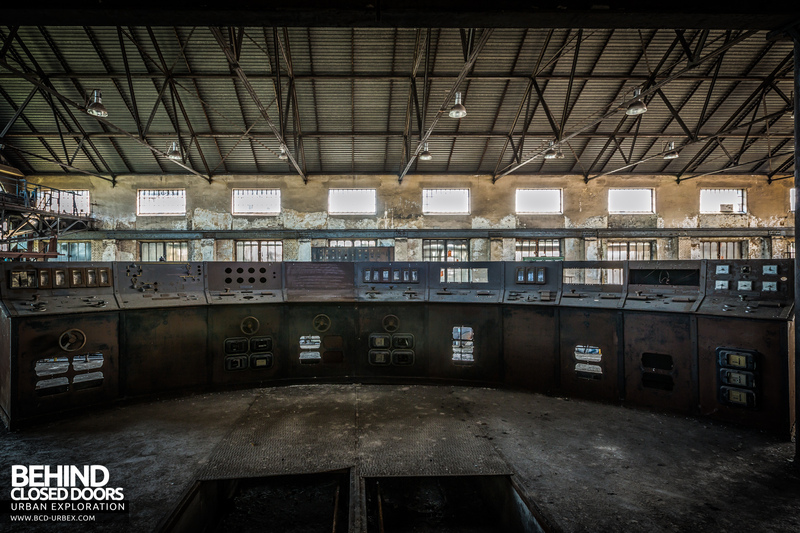 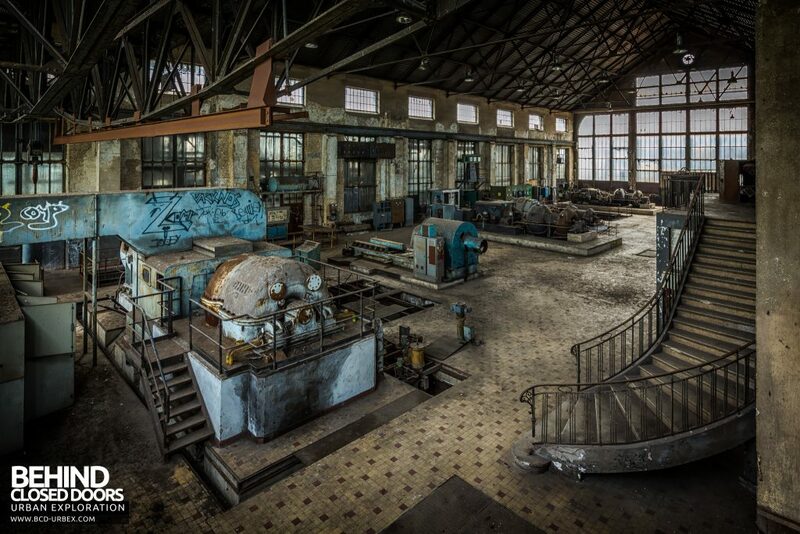 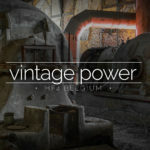 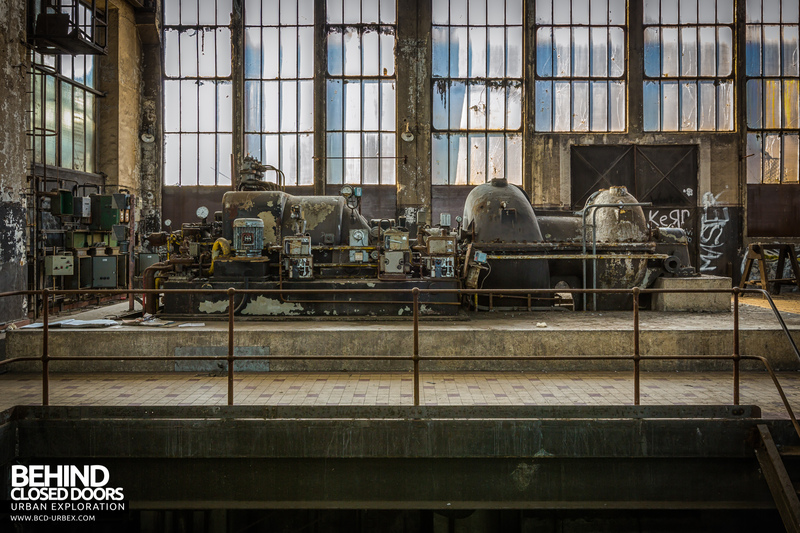 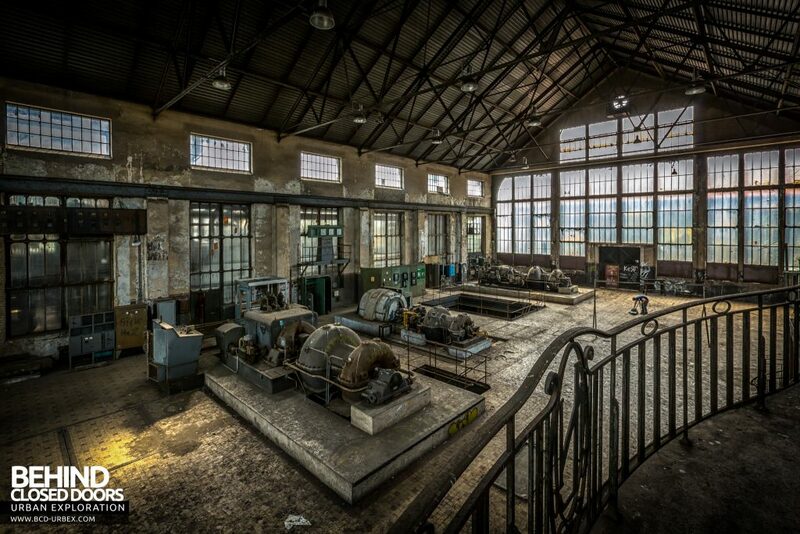 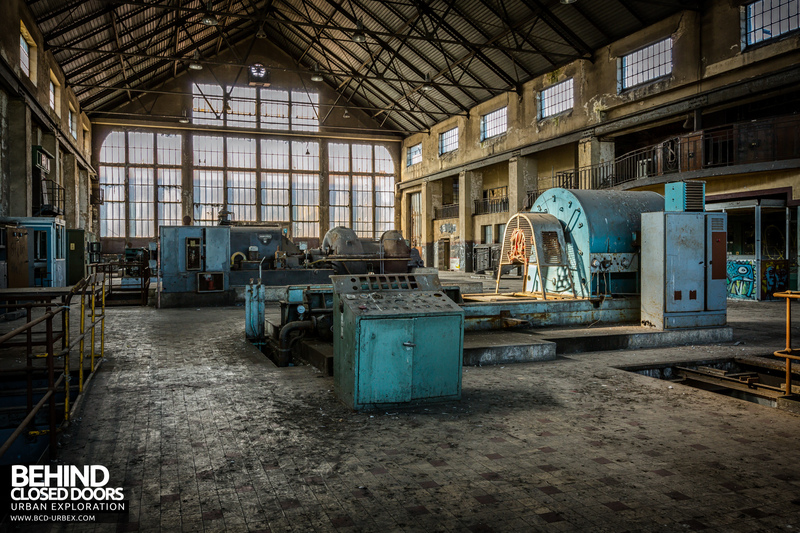 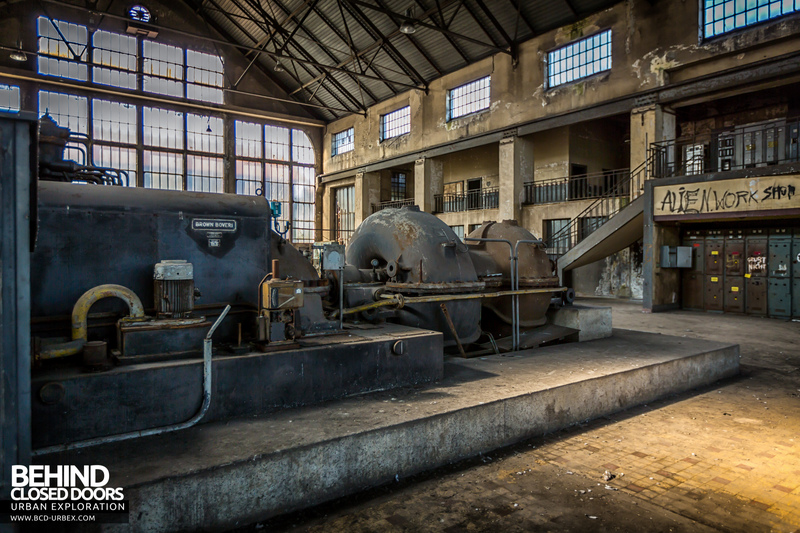 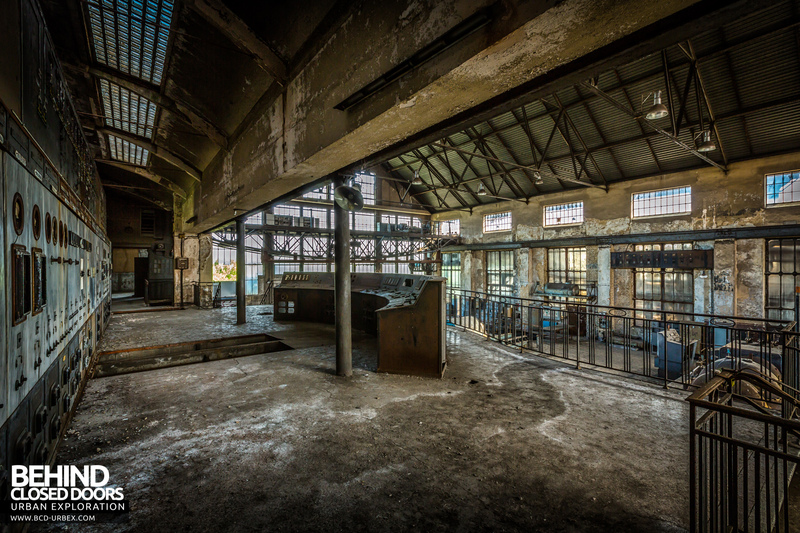 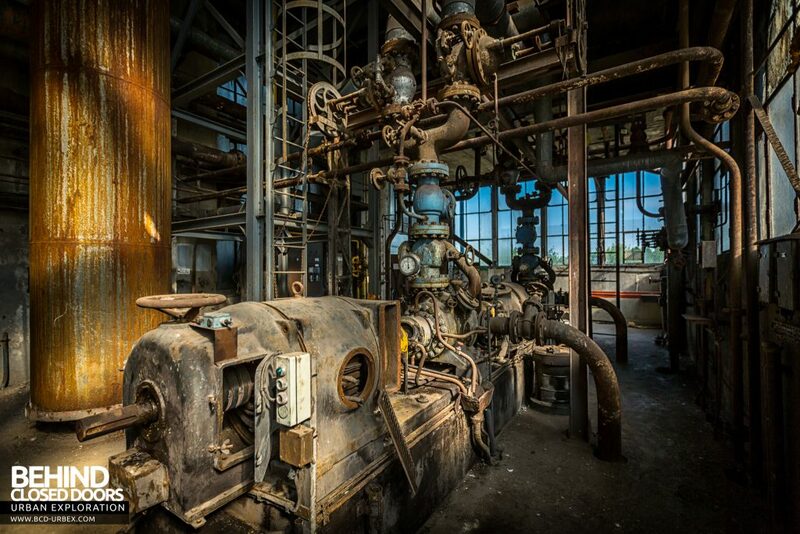 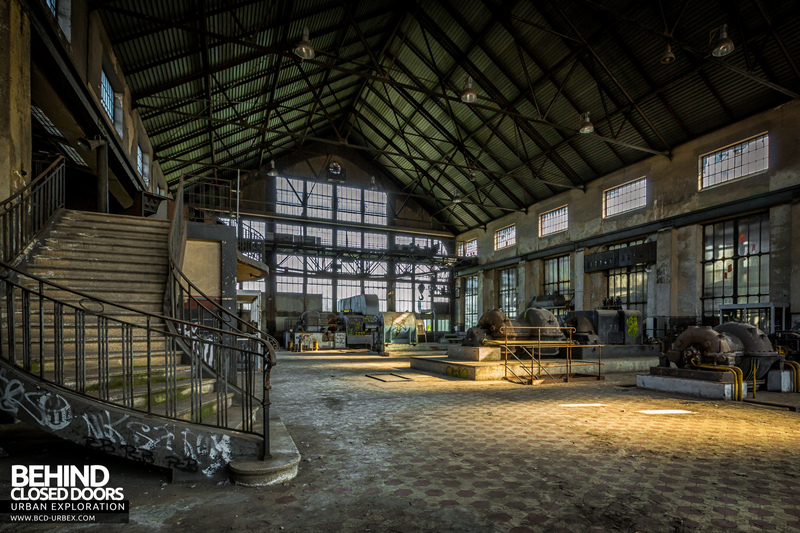 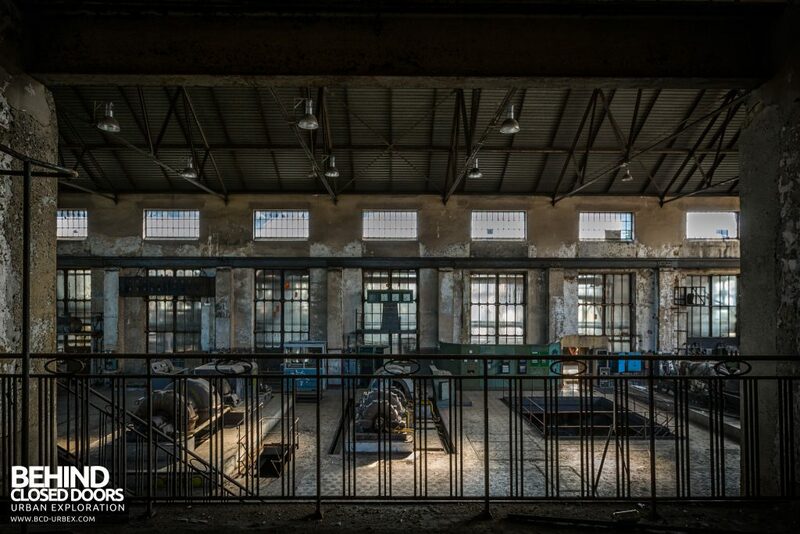 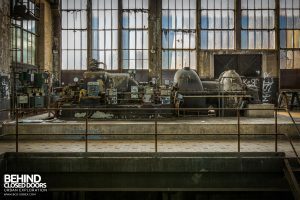 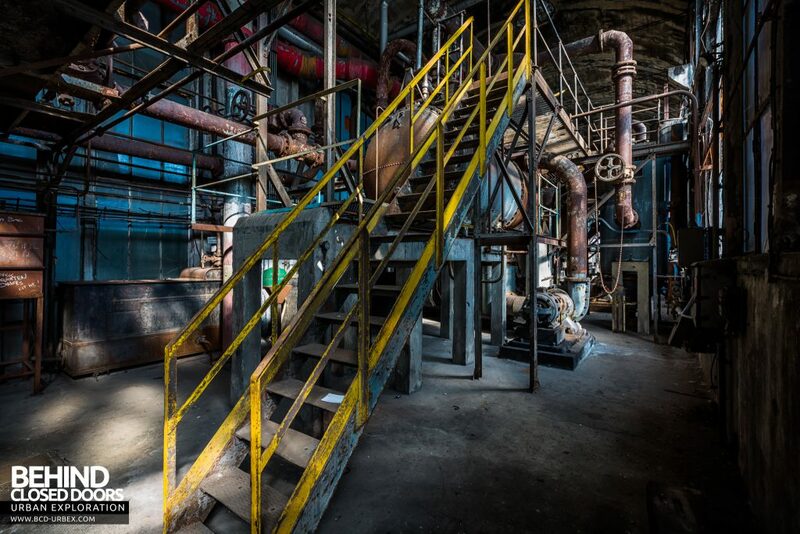 The Alienworks Power Plant is an old but quite well preserved power plant in France. 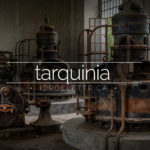 Dating back to the 1930s the five turbines remain in good condition, but unfortunately have been covered with a little bit of graffiti. 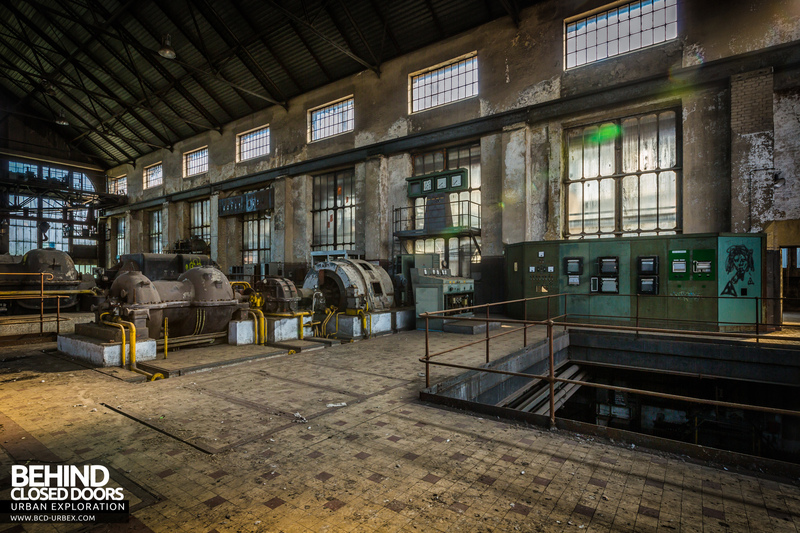 All five turbines are a different design, and are all different sizes. 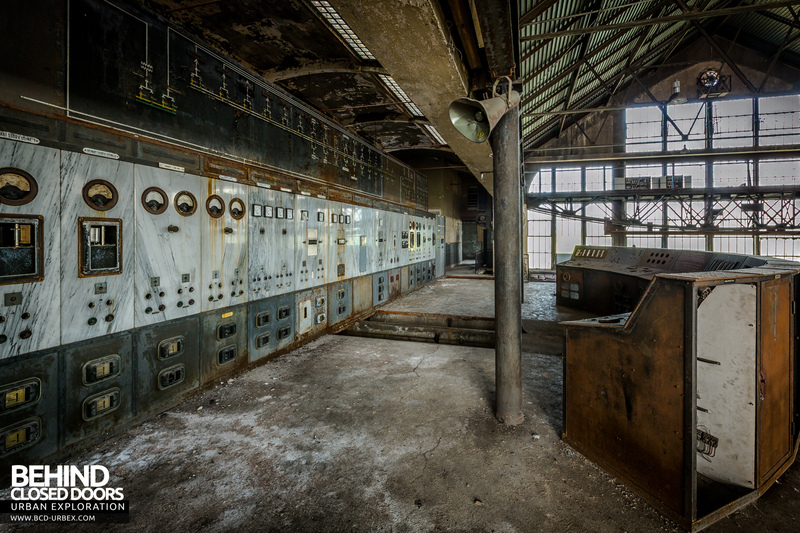 Presumably they had been added at different times to serve specific purposes. The control room is located on a mezzanine floor overlooking the turbine hall, with a sweeping curved staircase at either side. 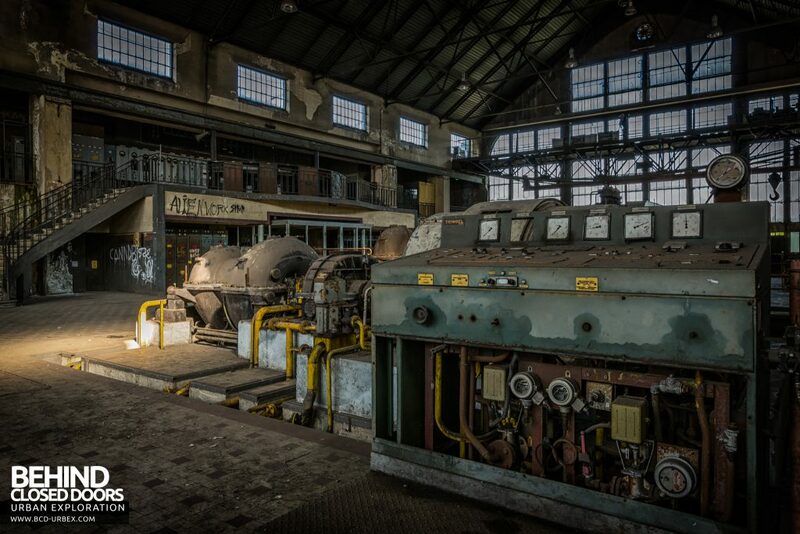 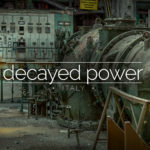 The power plant was part of a once huge and very busy iron works. 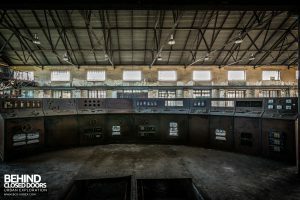 Most of the site has now been demolished or redeveloped, but the power station remains, along with one blast furnace that is now used as museum. 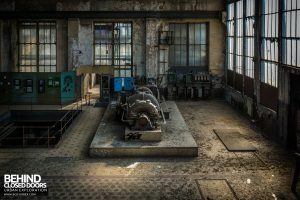 If you liked this report please also check out Darbians' Alien Works report or Proj3ct M4yh3m's Alien Works report on their websites.